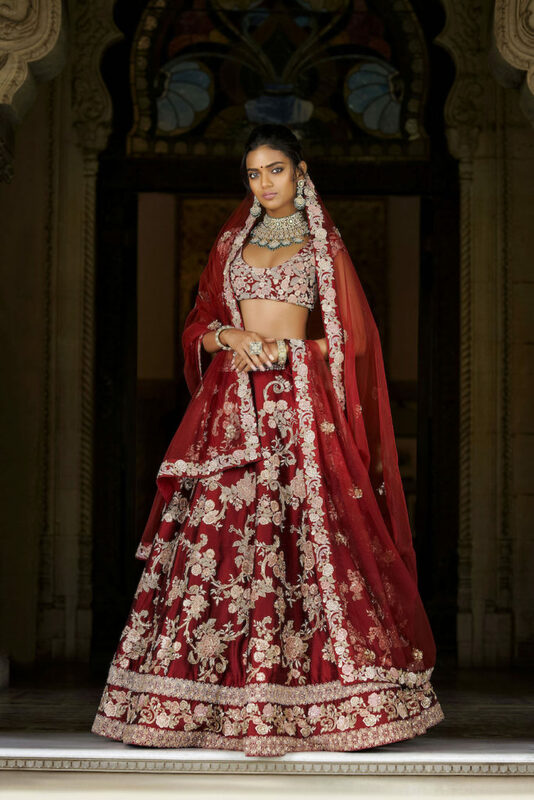 This is the time to start creating the perfect trousseau – with the wedding season six months away, a slew of bridal lehenga launches are ensuring brides get a headstart. 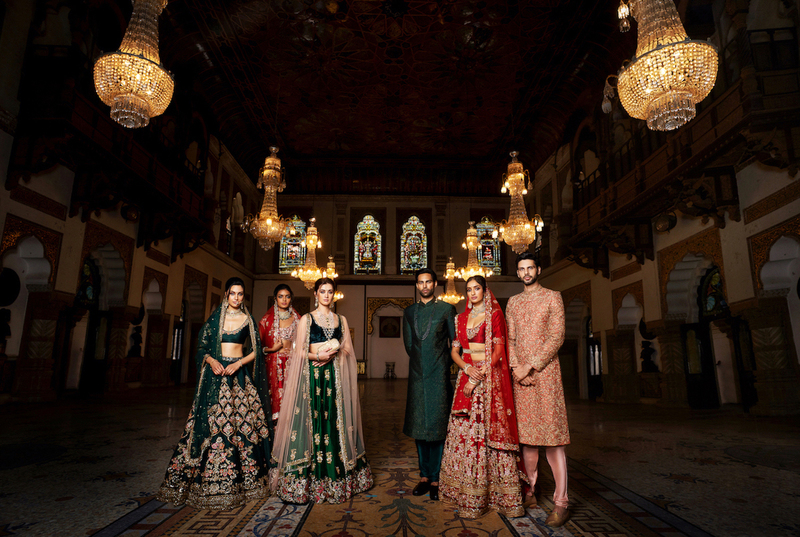 Leading the pack are Shyamal & Bhumika with their new collection, Memoirs of a Maharani. The 16-year-old label has time and again reinvented the wheel with hues and embroideries that are not only unique but handcrafted for posterity. Inspired by Indian heritage, the label uses precious craft techniques to create collections that not only stay true to tradition, but also meet modern-day sensibilities. This time around, the designers are addressing the needs of the millennial brides, which explains the shift from rich textiles and embroideries to a mix and match of simplicity and craftsmanship. 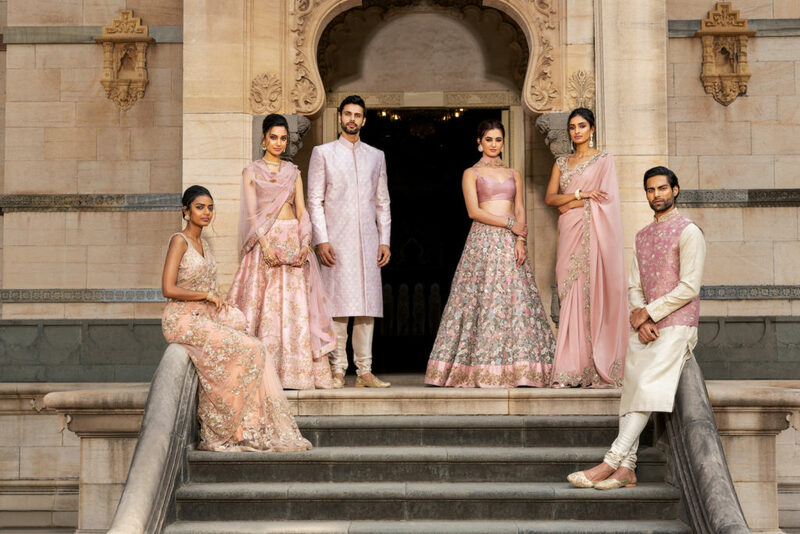 The collection features patchwork, sequins, a variety of rare embroideries like marodi, zardosi, and chain-stitch from Kutch and Rajasthan. Some pieces also include Arabesque konias, buttas, crescents, and dense embroidery on sheer fabrics. Painterly motifs, gold embellishments, French knots, age-old peeta embroideries on vintage European tones – all of them come together for the new-age bride. We especially loved the royal jackets with dramatic sleeves and necklines, and the exquisite angrakhas. We spoke to the designers to understand the bride who wears their timeless creations. It has a distinct flavour inspired by the royal courts of the princely states of India in the 17th century. We took interest in the fabrication of the clothes then and spent time understanding them to create works of art for our new collection. While designing it, it was history that inspired us, keeping in mind the relevance of our crafts complementing today’s age and time, and bringing forth the amalgamation of the timeless and the ‘new’. We have explored museums, rare private collections, antique markets and books on the royal courts to research the cuts, detailing, and the surface ornamentation. Sheer fabrics like tissue, organza, chiffon, tulle are some fabrics that work very well in the summer. So it’s best to look for these to stay comfortable. For us, the mood is about regality and romance while trending embellishments like playful threads, sequins, and crystals work into the style beautifully to keep it modern. The traditional embroidery techniques of aari-tikki, zardozi and pitta are still in trend. And it’s all about staying traditional but timeless. Foliage green, vintage orchid, carmine, blush pink, almond ivory, sindoor red, and midnight blue. 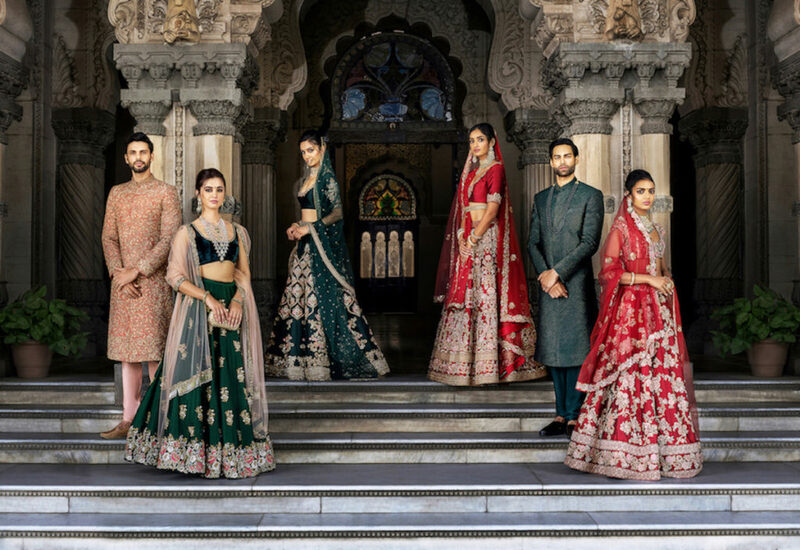 We have also played with contrasting colour combinations using black velvets with brightly coloured Indian brocades, dull beige with dusky peach, mustard with scarlet, bright purple with deep green, icy grey with midnight blue. We like to balance summer hues with darker fall colours. Look for your own unique sense of style and fashion that is not ruled by trends. A bride’s trousseau must have some light pret options for family dinners and functions that take place after the wedding. Saris, suits, and some Indo-western options are always good to have. A bride must choose her jewellery smartly – both heavy and light pieces. Invest in different coloured stones along with diamonds and polki.